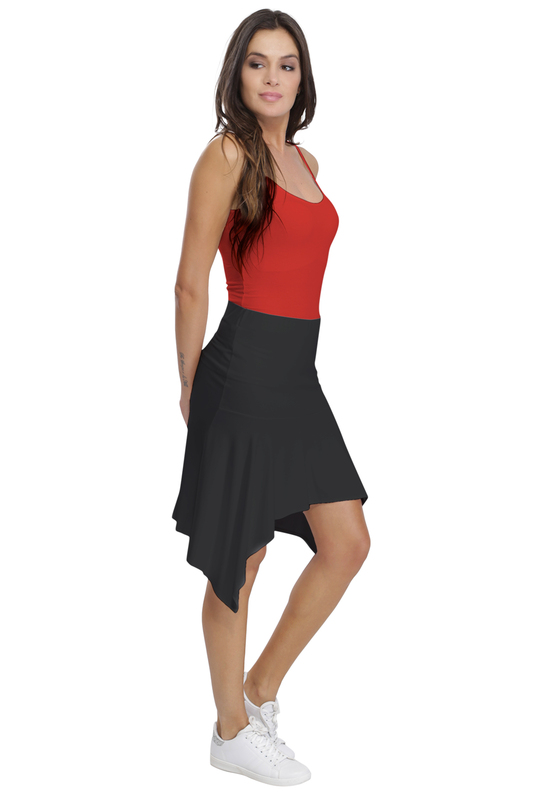 You go to be unable to resist the skirt Holly, feminine and casual. Her asymmetric cup and her pieces will adapt themselves perfectly to your smart and relaxed look. For the product HOLLY, here are the size matches: Size 1 = 36, Size 2 = 38, Size 3 = 40, Size 4 = 42, Size 5 = 44. Modal is a fiber derived from wood cellulose, a raw natural material. It is a soft, flexible and silky fabric ideal for high comfort. MADE IN FRANCE by Rendez-Vous Paris, a ready-to-wear manufacturer since 1996. Hand washing max 30°C / 85ºF. Do not dry clean. For free shipping at your home you have Colissimo or Letter Max (unsigned). For free shipping in a relayyou have Mondial Relay. Otherwise for a home shipping against signature you have Colissimo, Chronopost or relay Chronopost in France in 5 days. And for shipping in Europe or in the world you have DHL.